Babes let be honest, we all have a few basic tees in our wardrobe already right? Basic tees are a necessity sometimes in dressing up or dressing down an outfit. 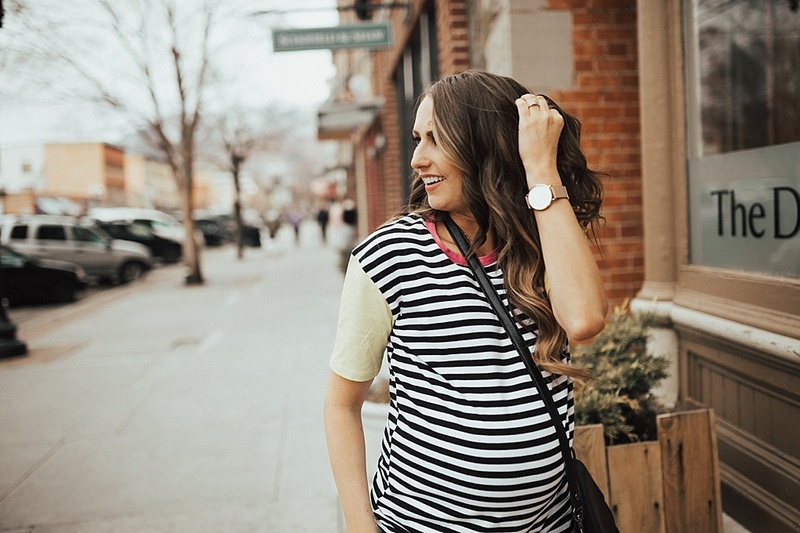 I am sharing a few tips on how to dress up those statement basic tees in a flash. Spring and summer time is all about basic tees tied over a dress or worn with shorts/jeans if you ask me. Between park dates, playing outside, etc. 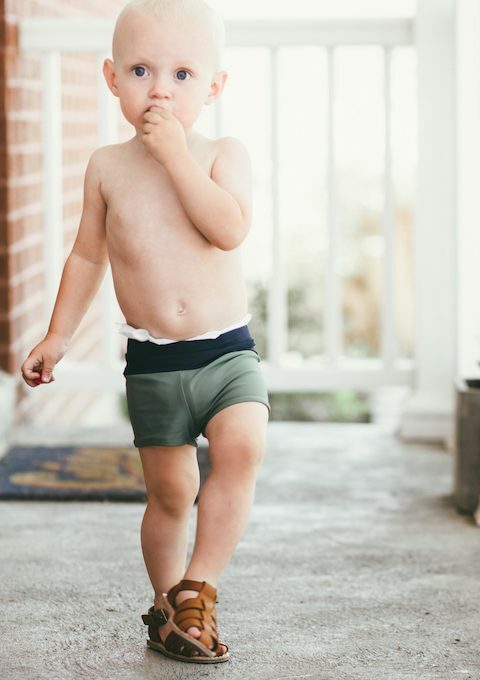 I love that they can be easily washed, easy to throw on without thinking too much, and easy to be a mama in! 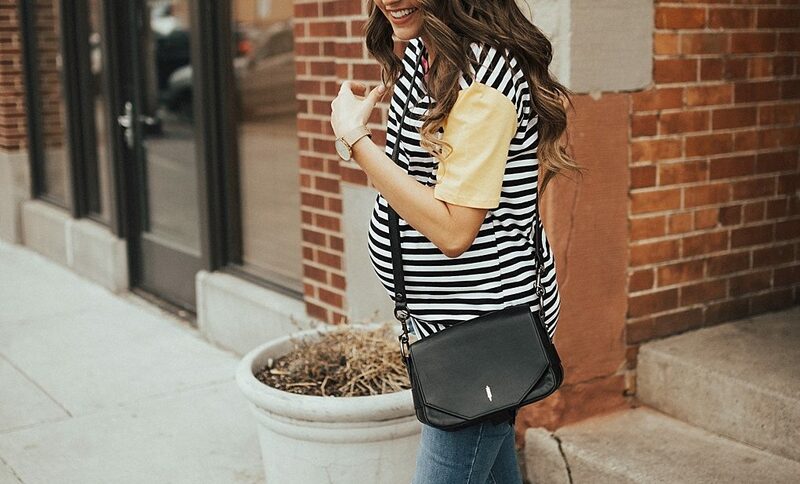 There are so many fun statement basic tees out for spring & summer time that I wanted to share my favorites with you and how I would style them simply. The tee I have on I snagged on Amazon for only $14.99! 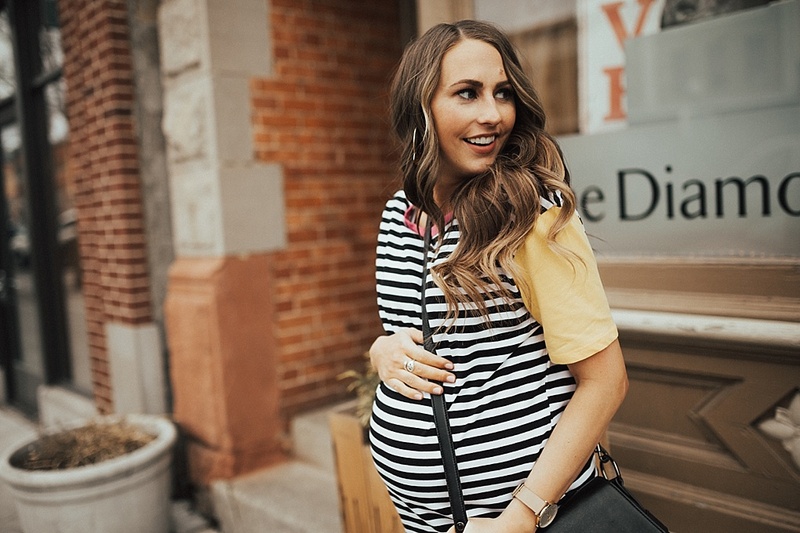 It is perfect to wear if you are expecting or to wear oversized if you aren’t pregnant. It was the perfect purchase for the in-between stage I am in where I only have a few weeks left. When I saw this tee I knew it was perfect for spring and summer because first off it is a basic tee, you can’t go wrong with that. Secondly it is a statement tee without any fuss of wearing it but having a little something extra than just a plain tee shirt. 1 – With jeans and sneakers! 2 – Bermuda shorts and sandals! 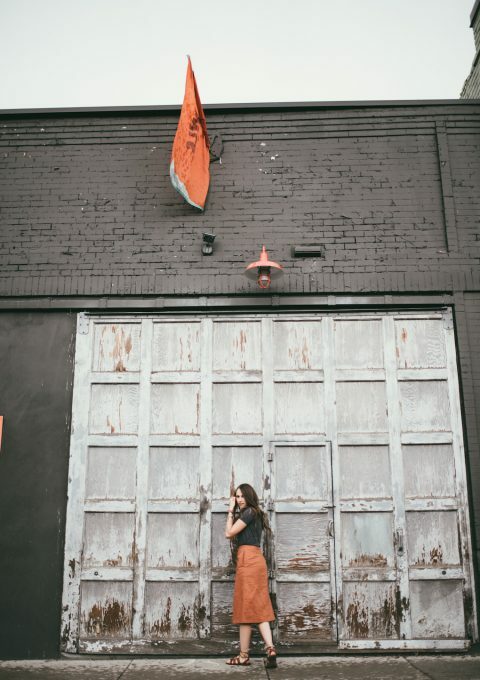 3 – Worn over a basic tee shirt dress and tied in a knot with sandals! 4 – Paired with a knit skirt and sneakers! 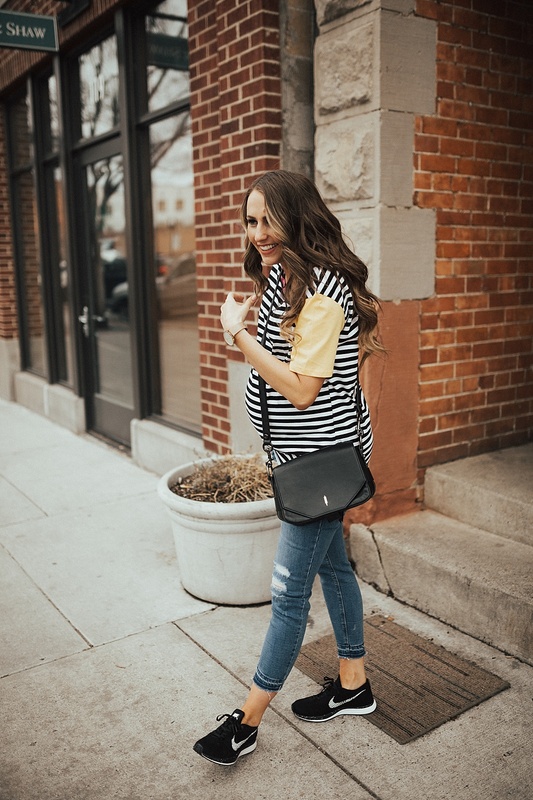 I hope this helps you to find some perfect basic statement tees for spring and summer time and gives you some ideas of how to wear them. Previous Post: « The MUST Shop Shopbop SALE!